Since April 2005 Markus Lehni has been global head Environment and Energy for Novartis Group. In this role he is responsible for the development of Corporate Environment and Energy policies, standards and performance criteria, reviewing and supporting their implementation, and acting as advisor on all environment and energy related topics for Novartis globally. Markus implemented at Novartis a comprehensive energy and climate strategy, proactively managing energy use and related greenhouse gas (GHG) emissions of its operations and along the product value chain. The strategy is based on dedicated energy standards for buildings and equipment, structures and tools of an energy management system, as part of HSE and Corporate Responsibility, reduction targets and promotional and training activities group-wide. The Novartis energy and climate strategy is two-fold in the sense of working towards a higher energy efficiency and the use of renewable resources internally in our operations, as well as external measures in terms of compensating part of the company's GHG emissions with carbon offsetting from own forest operations in Latin America, Africa and China. Since 2008 Novartis has implemented hundreds of energy efficiency, energy recovery and renewable energy projects, accumulating in 2013 energy cost savings of about USD70 million or 18% of the total global energy bill. The 14% energy savings target set for 2015 was achieved two years ahead of time. In the same period the total absolute GHG emissions were reduced by 8.3% since 2008, despite a company growth of 25% in the same period. Offsets from the reforestation projects contribute additional 5.4% reduction in 2013. Before coming to Novartis, Markus held several relevant positions, including Director for the Environment & Sustainability Services Group of Deloitte, Program Manager for the World Business Council for Sustainable Development (WBCSD), and Corporate Environmental Affairs Manager for the electronic equipment manufacturer,Landis & Gyr Group. Markus has specialized in Corporate Sustainability and has more than fifteen years of experience in this field. 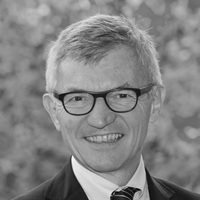 He has served as a member of the Steering Committee and as working group Chair for the Global Reporting Initiative (GRI), and as a member of Judge Panels for Environmental/Sustainability Reporting Awards in Germany, Switzerland and Hungary. He worked on the development of a Sustainability Reporting Scorecard for Deloitte, and conducted respective sector studies. A leader in the development of pioneering Corporate Eco-efficiency Reports as early as 1994, he has authored WBCSD Reports on Eco-efficiency and Eco-efficiency Indicators, and advised several multinational companies on the development of their Sustainability Reports.